Consider this an excuse to splurge on fancy new pillowcases! Ever since I bought my silk pillow cases I have noticed it has done wonders for my skin and my hair! Silk is natural material that is hypoallergenic (which is really good) and also is packed with amino acids. Because of this it absorbs moisture and adjusts to all temperatures which means your skin won’t be sticking to a sweaty pillowcase and accumulating pore-clogging oils. Your hair will stay soft and static free as you snooze away to dream land! Unfiltered, hard water contains tons of chlorine and toxins, which can really take their toll on your skin and strands. This is why water purifiers in the form of showerheads filters are huge! You will definitely see a huge improvement in your hair and skin! This is a MUST! Smooth flyways – I always have my mini Vaseline container with me at all times, everywhere I go there is one sitting beside me. Not only I use it moisture my lips and cuticle it’s great to tame frizz and seal dry spilt ends it is also great to keep unruly eyebrows in place. Instant Highlighter – Swap your highlighter for Vaseline. Just dab a small amount on the high points of your face for a dewy, naturally luminous glow. Slide a bit down your shins to make your legs glow too. Oh the struggle. There is nothing more complex then mastering the perfect winged eyeliner. Liquid winged eyeliner skill does not come within one day you have to practice. Even when you think you’ve mastered it good luck on getting both eyes to match..
I’ve searched Pinterest for a ton of liquid eyeliner tips and tricks for myself and wanted to share them with you. There are actually a lot of different techniques that you can use if you’re struggling. 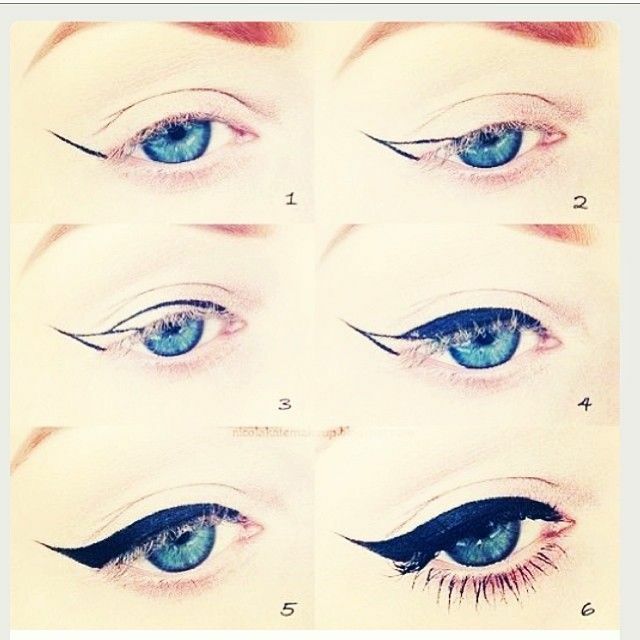 Figure out your eye shape, and what eyeliner style will best emphasize your eye.